Approval of October 11, 2010 Minutes: Suggested changes to BAC report: Cyndy Griffin is not the BAC Co-Chair and move the last sentence from the first paragraph (i.e., “The committee…”) to the end of the report from BAC, following the last paragraph; correct spelling of Koran; Jeff Hurt moved to approve with suggested changes, Stephen Smith seconded, unanimous approval. Approval of Fall Faculty Meeting Minutes: James Algina moved to approve, Jeff Hurt seconded, unanimous approval. Related Action: Twyla Mancil will make approved changes to October 11, 2010 minutes and submit minutes to John Donaldson for uploading to the FPC website. The structure of FPC meetings and the roles and responsibilities of FPC members were discussed, especially as they relate to the procedures followed during FPC meetings and the participation of guests. The FPC constitution and Robert’s Rules indicate that only elected members are to participate in discussion, except as resources or when called upon by the Council. The contribution of guests to FPC meetings and issues was stressed, as was the need to maintain order of the meeting so as to keep non-members from having access to the floor and essentially taking over the meeting. The priority of ensuring that everyone, including members and guests, feel comfortable in expressing themselves during meetings was emphasized. In summary, members of the larger UF community will be asked to come as a resource, and members are okay with that as long as the meetings are held to order as guests are important sources of input to the whole Council. Questions about the location of the Strategic Plannin Retreat were addressed. No location has been established but there is a possibility of it being held off-campus. 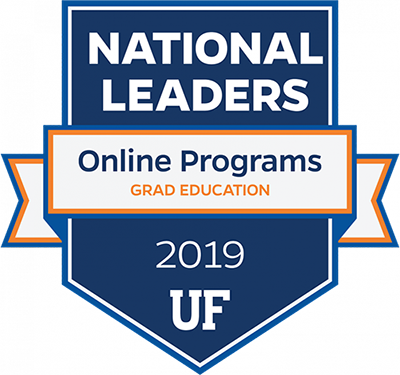 Dean Emihovich announced that the UF President approved an interdisciplinary UF Center of Excellence in Early Childhood Studies, a long-standing dream of early childhood faculty. Pat Snyder will be the Founding Director. The center will be provided with two years of funding, with hopes of an endowment to follow. Strategic planning in the Spring will outline proposals and initiatives for the center. Dean Emihovich also briefly discussed the Annual Faculty Research and Engaged Scholarship Showcase, as well as the Conversation with Critical Friends, both of which occurred on November 4th, 2010 and details of which can be seen on the COE website. The Dean also brought up an issue that has come up among the Board of Governers, which focuses on increasing the emphasis placed on possible system-wide collaborations within the state. The COE’s involvement in such collaborations was discussed, including shared courses in severe disabilities. No new news on budget. This year’s allocations were allotted based on recommendations from the Budget Summit. The BAC will propose a summer compensation model and allocation process for future budget decisions. Dean Emihovich indicated that she will be working with Naomi on mid-year review just to make sure units are staying where they need to be. Regarding the PKY Director search, the search committee sent four names to the Dean for consideration for possible on-campus interviews. The pool was deemed insufficient, and, as a result, the search was reopened. It was felt that there was a lower response because the search opened in the Spring, which is relatively late. Consideration is being given to hiring a search firm at a cost of approximately $30,000-$40,000 of which PKY would pay a significant portion. The point of hiring a search firm is to broaden the applicant pool. Given that it is highly unlikely that someone will be in place before the current Director, Fran Vandiver, retires, Eileen Oliver will be shadowing and will serve as Interim Director from April 1, 2011 until, hopefully, July 1, 2011. Regarding the OER Associate Dean search, a meeting was held on Friday, November 12, 2010, and the ad should be posted within the next couple of days. The ad is essentially the same as before, with a greater delineation of responsibilities. helpful for COE faculty. A major portion of this discussion focused on views of/approaches to intellectual property, including the open-access approach and the proprietary approach. With the open-access approach, intellectual property is publically accessible, whereas with the proprietary approach such information is not freely accessible. Mr. McCoy indicated that current cultural trends show a change towards intellectual property being more freely accessible. Discussion ensued around the two opposing approaches to intellectual property and how these approaches may/may not affect COE entrepreneurial activities. An FPC member pointed out that the technology to prevent the downloading of intellectual property does exist and is being used by other companies and institutions to protect intellectual property rights. Mr. McCoy indicated that decisions regarding approaches to intellectual property will be left up to the individual faculty member. Ways in which DE can help COE faculty were also discussed, including providing a learning platform, operational support, instructional support, and promotion/informal marketing. Mr. McCoy shared the Office of DE Annual Report with FPC members and provided examples of current entrepreneurial activities of faculty, such as establishing web-based continuing education units (CEUs). Paul Sindelar and Dorene Ross met with Jodi Gentry, Human Resource Services Director, and asked her to submit a strategic planning proposal. Since then, the SPSC has met twice, once to discuss the possibility of meeting with Ms. Gentry and a second time to meet as a group with Ms. Gentry. At the first meeting, concerns with having HR involved and whether or not individuals would be comfortable with this involvement were discussed. It was decided to have a second meeting in which Ms. Gentry would attend. Upon this meeting, everyone on the committee approved of engaging her in this process. SPSC is meeting again on November 18, 2010 to discuss the details of the process, including the identification of work groups that would be charged with preparing concept papers and a final action/strategic plan for accomplishing our identified goals. Ms. Gentry submitted a budget, which was very modest–$2,000 for the entire year to go through May. This amount falls in the range previously discussed. One of the things that was appreciated about Ms. Gentry’s perspective is that she is amenable to midcourse correction and changing the process. Discussion ensued regarding Ms. Gentry’s previous work. Ms. Gentry is expected to attend the Strategic Planning Retreat on December 13, 2010. Tina Smith-Bonahue asked other FPC members to encourage other faculty to attend the retreat and was open to suggestions regarding faculty emails eliciting faculty attendance at the retreat. Suggestions were made regarding email content, including explaining Ms. Gentry’s role in the process. Schools—Hazel Jones (SESPECS), Ruth Lower (STL), Cirecie West-Olatunji (SHDOSE), and the Directors. Brief reminder of the task for individual committees to review the portion of the constitution pertaining to their committee and suggest/make changes. Related Action: Stephen Pape (STL) will send out an email reminder to committee chairs. No new business emerged from the agenda. BAC has met twice. At our October 18th meeting, we discussed sharing across Schools within the COE. School Directors were interviewed with a common set of questions that were fairly broad: what they thought should be encouraged/rewarded in the RCM model; what should be discouraged in terms of activities or under-rewarded in the current RCM model; what major assets do you think the College has that may improve our overall reputation and quality; what major assets does your school have that may improve our overall reputation and quality; what things should be increased to maintain/improve these assets; what role should the schools have in ensuring the financial health and overall reputation of the College; should each school be expected to contribute in similar/different ways; and then a final question about activities that might help improve the financial health/overall reputation of the College. Interviews revealed very different views across the Schools. Some would like the RCM to trickle down to program level; one School emphasized balance; and one school was highly invested in entrepreneurial activity. BAC meets next week and will continue the discussion on these broad based issues of allocation. CCC met Monday, October 25th, 2010, the same day as the Fall Faculty Meeting so the CCC only met for one hour. 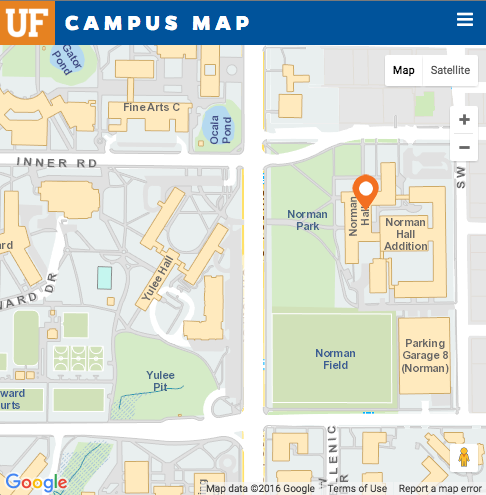 CCC approved the UFTeach minors in math and science, and changed the name of the remaining Pathways to Teaching minors to Florida Teaching Minors. If faculty have proposals, they can still be placed on the agenda for Monday. No report from this committee. Dave Miller is the FAC Chair. LSA continues to meet electronically. We are reviewing for the faculty Mentoring Award and will make a recommendation for the Doctoral Mentoring Award. Next meeting is scheduled for November 18th, 2010. Agenda is to be announced. Met on October 27th, 2010 and elected Shelly Warm (STL) as the Chair of the committee. TDEC unanimously agreed that ex officio representation on the Distance Education Task Force should be afforded the committee. In light of this agreement, Shelly Warm was selected as the Committee representative, with Swapna Kumar the alternative. Jeff Hurt contacted the members of the task force to inform them of the committee’s decision. In discussing the goals of the committee beyond the role of liaison relative to the Distance Education Task Force, the committee discussed the following issues: a) what technical support is available from the College for faculty involved in grant writing and research? ; b) are there/should there be College personnel who are available to support faculty in technical matters relating to grant writing and research? ; c) could the College provide faculty with an organizational chart showing who is in the College to provide technical support? ; d) who can put websites on the College server and what are the restrictions? ; and e) what technology is available for College faculty, especially as it relates to grant writing and research and what needs to be included in grants? Discussion ensued over what was meant by the term “technology”. It was indicated that “technology” referred to software and hardware, as well as human support. A large portion of technology includes web-based technology, but it was reported that TDEC is not limiting the discussion to such.